Lynn Festa is associate professor of English at Rutgers University. She is the author of Sentimental Figures of Empire in Eighteenth-Century Britain and France and the co-editor, with Daniel Carey, of The Postcolonial Enlightenment: Eighteenth-Century Colonialism and Postcolonial Theory. She is currently completing a book on the relationship between persons and things, humans and animals, in eighteenth-century literature. She has written on an array of eighteenth-century topics, ranging from wig-wearing and the use of women’s cosmetics as signs of national differences to the history of human rights and the Enlightenment origins of humanitarian sensibility. Announcing the First Ever Aphra Behn Society T-shirt! Available for a limited time at CustomInk: https://www.booster.com/aphra-behn. 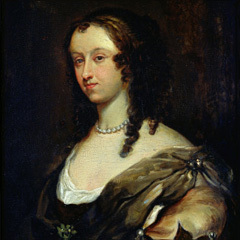 All moneys raised go to support the Aphra Behn Society’s events and activities, including the graduate student travel award, the graduate student essay prize, our spectacular scholarly journal, ABO, and our biennial conference. Shirts are available only through November 10th and will be shipped directly to you. Nothing says, “Cool Intellectual” like an Aphra Behn Society t-shirt.